Deborah Pollard explores her ongoing relationship with Indonesian culture. 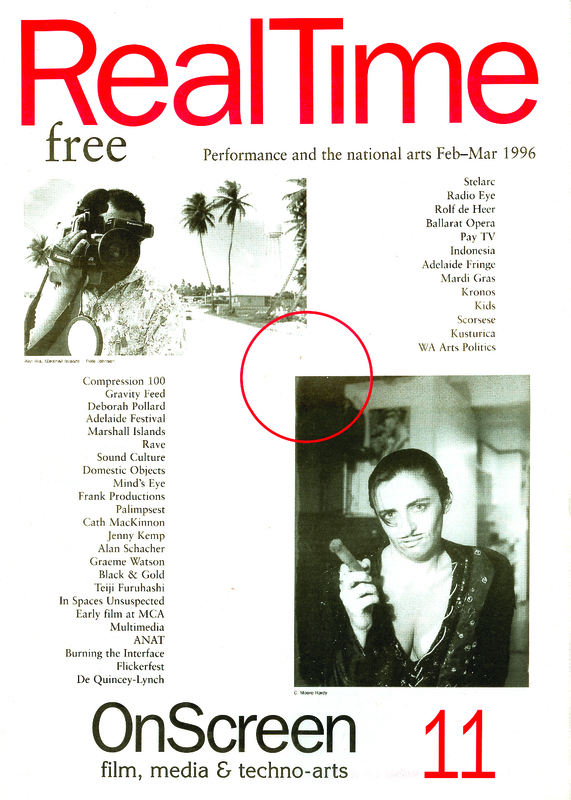 Performer Deborah Pollard went to Kalimantan and East and Central Java, Indonesia in 1993 with Canberra’s Jigsaw Theatre Company, performing Bruce Keller’s Treehouse, a play about environmental issues. In rural areas the company were mobbed by intrigued locals. The performances though were greeted with silence by children even though honey bears had been substituted for koalas and komodo dragons for kangaroos. The closer to the cities, the better the response. But what stayed with Deborah was a curiosity about audience response in a very different culture. “We couldn’t rely on our old tricks. They weren’t communicating anything to our audiences. Deborah asked to meet installation artists or performance artists. The latter didn’t mean anything. “Seni installasi” (installation art) was considered “a little bit wanky”, considered to be produced by “failed artists” who “have no skills”. “I said okay, I want to meet some of these failed painters. So I went to Jogjakarta, an arty city. It was fantastic. I met an abundance of installation artists and foremost, I would say, would be Heri Dono who’s visited Australia many times. In workshops Deborah offered Suzuki Tadashi training and drama games while the performers demonstrated how they created performances and the martial arts training base they used, probably learned from the military. “They loved the Suzuki. It felt very strange to me, teaching Asians another Asian form of theatre training. “I wanted to introduce the idea of site-specific work which proved to be quite difficult. The performers were afraid of public opinion within such a small community. If they were seen doing strange things what would it mean? They wanted to use natural sites. I preferred the railway station but we used a waterfall: it was easy to reach from Pekalongan and was visually overwhelming. My role was to create a structure they could work in. They wanted to stand in the waterfall. We added umbrellas (I was encouraging them to think about irony and juxtaposition), and then they wanted to add choreography and beeps and whistles to go with the movements. The sounds were drowned out by the waterfall. They called the piece Nissa Hujan—rainy season—which is great because the work felt monsoonal. Their movement was influenced by traditional dance not because they’ve been trained in it but because traditional dance is still alive and kicking in Indonesia”. Deborah gave the process over to the actors and to Javanese artists who embellished the work with everyday elements like traditional farming songs, the Islamic call to prayer, the formal rest time. Many villagers came to see the work and stayed a long time and tourist buses made quick stops to snap the eleven farmers and eight actors at work—like postcards. “I don’t know if I had a higher purpose, other than my belief in being quite simple in the work and knowing that sooner or later it’ll have layered meanings. Other artists contributed, for example Untun who read the artists’ statement I’d prepared and said ‘That’s very different from the way that I work. I produce from here (pointing to his head)’. He talked about creating a farmer’s dream. He covered himself in mud and connected himself to a bamboo pole, which is what the water buffalo are usually tied to for ploughing the earth, to represent drudgery, while observing wealthy farmers singing and dancing, and speaking on mobile phones.